Back in the day, people who had talent but were compelled to take other mundane jobs, never got any exposure. However, in the 21st century, since everyone has a mobile in their hands, they’re able to show these under-appreciated talents to the world. And such was the case of a hidden calligraphy artist. Twitter user @tyrantasorus posted a video of a man painting one of those signs that we’ve seen a hundred times on the rear end of a truck. But the fun part isn’t what he’s drawing. It’s how he draws it. When the video starts, we see a rectangle, with slightly curved edges on the top. After that, the man draws in three equally-spaced, vertical lines. But it still isn’t clear what he’s going for. After two small, horizontal strokes, a ‘S’ appears out of nowhere. And that’s followed by a ‘T’, an ‘O’ and a ‘P’. Now, isn’t that some next level stuff or what? 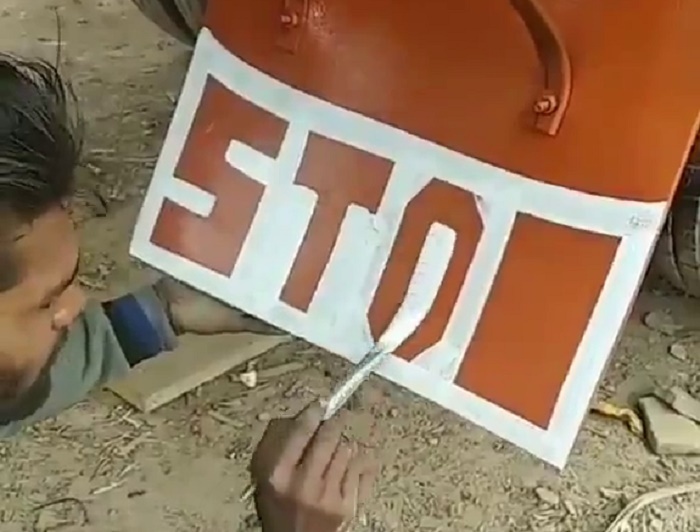 Seeing this, @ananvaras posted another example of a man painting a similar sign. 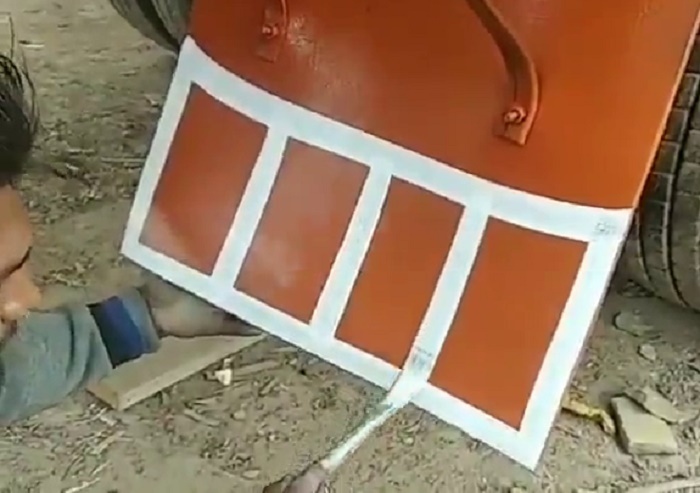 Netizens were undoubtedly baffled and confirmed that they had to see the video more than once to understand what the man was painting. You need to see it more than once to see what he saw, and you couldn't see. Awesome. WOW.look at the symmetry drawing the first four lines. No scale! The art world needs more people like them to keep the creativity of their profession alive. So, let’s hope this video reaches hundreds of artists out there and at least one of them picks him up from the garage and promotes his work in a proper gallery.